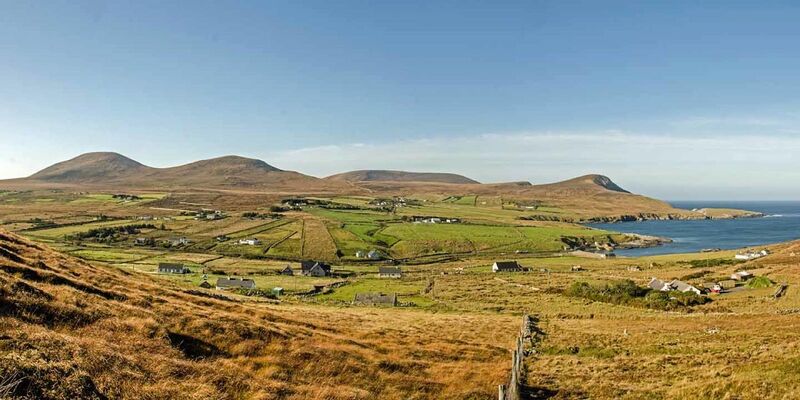 Béal Deirg is one of Ireland’s oldest communities – and one of its most scenic. 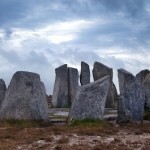 Located halfway between Ballycastle and Belmullet on the Wild Atlantic Way’ s Ceide Coast, Belderrig is one of those beautiful Irish villages off the beaten tracks that once you visit, you’ll never forget. 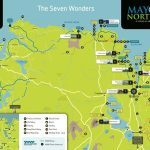 With its sprawling coastal landscape and stunning cliff faces, it’s the perfect place to walk for miles and lose yourself in some of the most beautiful Irish scenery you’ll ever discover. Its incredible history speaks for itself – people have been living in the village since the Mesolithic Age (Hunter-Gatherers era) for 6000 years, making it even older than the nearby Céide Fields. The earliest people lived alongside the shore. It was Dr. Séamus Caulfield, famed local historian who suggested they were ‘fisher gatherers’. Recent archaeological studies have revealed the remains of fish bones near the harbour. Fishing and farming still remain important economic industries in the community. Belderrig even has evidence of a Neolithic farm dwelling (located near the Community Centre). 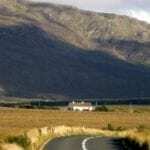 Tours of the area are offered by the Belderrig Valley Experience – ran by Dr. Caulfield and his son, Declan. Today, you’ll hear native Irish speakers speaking beautiful Gaeilge in this remote but stunning region – a must-see on your trip along the Wild Atlantic Way. Belderrig Community Centre was opened in 2000. It is run by Coiste Ionad Pobail Béal Deirg and is the focal point for all community activity. This Roman Catholic Church is one of the oldest church buildings currently in operation in North Mayo. Construction began in 1869 and the building was completed in July 1870. Mass time: Sundays, 10am. This is located in the building next to the Community Centre. Students of archaeology have been coming here to do research for decades. This lab was opened in 2000 and is part of the Belderrig Valley Experience. This is an natural, outdoor rock pool located at the Harbour which is ideal for swimming. 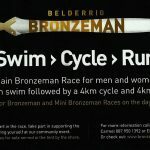 This is a Triathlon around the village, comprising a 150m swim, 4km cycle and 4km run. This great family day out is held on the Saturday of the August Bank Holiday weekend annually. More details at the Belderrig Bronze Man website or Facebook profile. 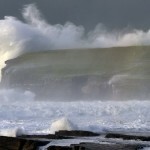 It is 33km East of Belmullet along the R314, and 120km (1 hr.45 minutes) from Ireland West Airport Knock. McGrath Coaches leave Belderrig outside the former pub at around 11:15am for Ballina and return around 6pm. For local images of beautiful Ballycastle/Belderrig, check out Images of BallycastleBelderrig on Facebook. Photo: © David Browne. Thanks to Pádraig McCann for the local information.